Dress Hats for Women are and Elegant way to attend a wedding when undergoing Hair Loss. Choosing the right head covering for a wedding can sometimes be a just a tad overwhelming for women who cover their hair for reasons such as hair loss or religious purposes. Although some women opt for a wig in order to achieve a more natural look (and believe it or not sometimes even looks better than regular hair), lots of women find wigs uncomfortable and hard to take care of, which is why they turn to head coverings. The advantage in choosing a headcoveringis that there are lot’s of choices! The large variety of head coverings available include hats, caps, snoods, berets, pre-tied bandanas, head scarves, etc. which makes it exciting to cover ones hair. However when you have to find the perfect head covering to match your dress for a wedding, the many choices out there it can wind up being overwhelming! So decided to put together some ideas that might help you out on your quest for the perfect hat for a wedding. The most common wedding head coverings worn by women worldwide are Dress Hats. There are many different types of variations of Dress Hats. Some are flat and some have height, some are brimless and of course there are lots of wide brim hats for women too. Some have a crown such as a Fedora that has a crown with a pinch at the front to give it a little bit of a modern look and some of the crowns are simply round. Women looking for a lot of height on their hat generally go for the Cloche hat which is a hat in the shape of a bell. It is round on top, goes in by the head and then out again by the brim. All these hats come very well decorated. The most common materials used are Silk, Satin, Ribbon, Lace, Organza, Chiffon, Tulle, etc. There are lots of style’s to choose from. Some are simple and classy and others are more decorated with sequins, flowers, feathers, and much more. When choosing the right hat first take a look at your dress. If the outfit you are wearing has a lot going on, you may want to go for something a little tone down so that your hat shouldn’t take away from your outfit but if your dress is a little bit more simple, you may want to wear a head covering that has some added touch to dress up your outfit. Another option is a headscarf. A head scarf has the advantage that it could be tied in any style or fashion you desire. In addition, if you are having trouble finding the perfect color head scarf to match your outfit, you can always walk into a fabric store, find the perfect material in the perfect color and create your own head covering. In addition, lots of head scarves have lurex and fringes which adds a great fashionable look. 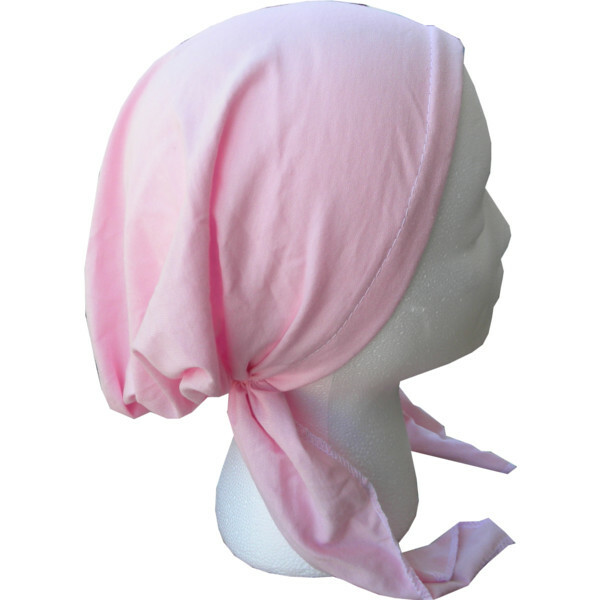 Lots of women like tying their head scarf in the crown style which is a head scarf that is tied with a little swirl across the top to make it look like a crown; which in effect adds height. It is fancy and dressy and has a great fit which makes it last throughout the night. Otherwise, consider tying your scarf in the bun style or any other style and add an applique to dress it up. You can add a flower a studded applique or anything else under the sun. It’s original, different and really comfortable. One thing all the many options to choose from have in common , and that is that they are all really pretty, stylish and comfortable. We hope this information helps you out to guide you to find the perfect head cover for your special occasion.